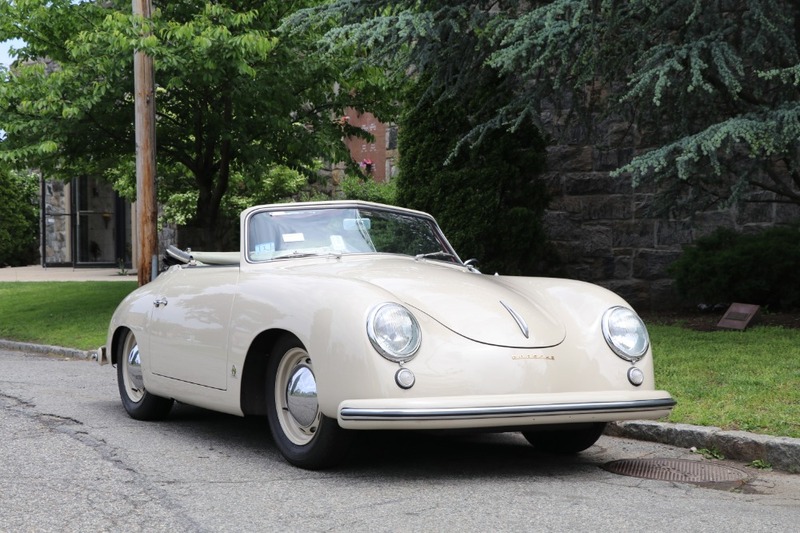 In accordance with the Porsche Certificate of Authenticity, this charming 1953 Porsche 356 Pre-A Cabriolet was completed on June 23rd, 1953. The car was originally ordered in Fashion Grey, paint code C531B with a red leather interior and comfort seats, and optioned as a USA deluxe model. It was one of just 394 Cabriolets built in 1953. The original 1500cc engine has been replaced with a later unit that appears to be a 1960 model year 1600 Super engine, an upgrade that would have added over 30% to the car's initial horsepower rating. 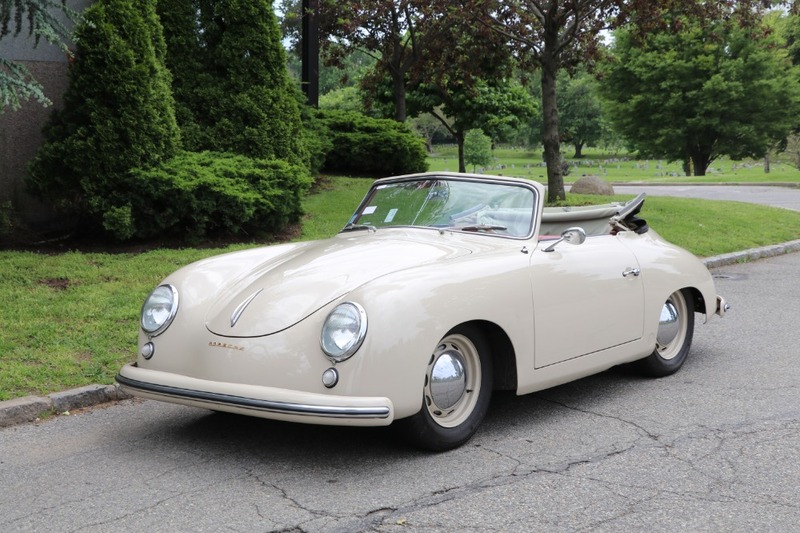 The Kardex reads that the new Porsche had been ordered by a company called Cattaneo in California, but also logs a 700-mile service as being performed in September of 1953, presumably at a Porsche dealership located in Paris, France. One could assume that the first owner of the car took delivery in Europe and used it there before shipping it stateside. In July 1990, the car appeared for sale on the 356 Registry out of Atherton, California.  At the time of the listing, the car was still in its correct colors. The car was in comedian Bill Cosby's collection at some point. 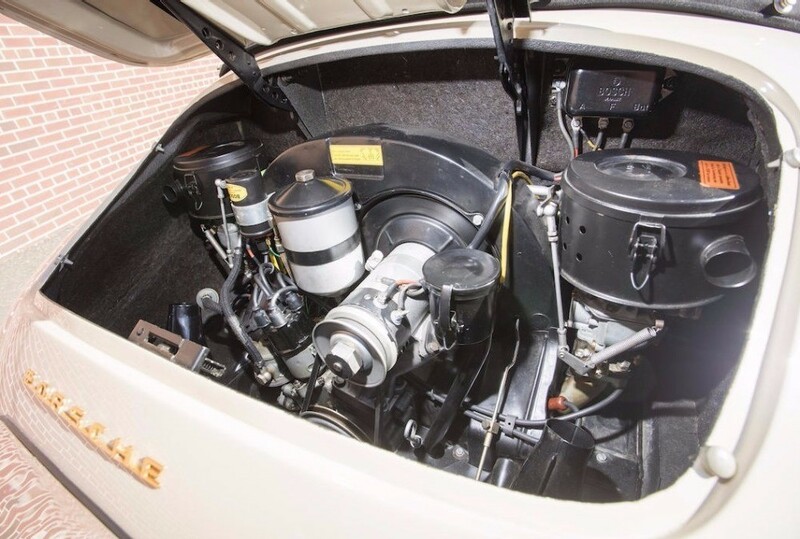 Today, this rare Pre-A Cabriolet presents beautifully inside and out, and it is apparent that a comprehensive restoration has been performed on the car. The exterior paint is nice and glossy, and the wheels are color-coded to match. Fit and finish is very good throughout. The brightwork and trim has also been restored, and presents very well. 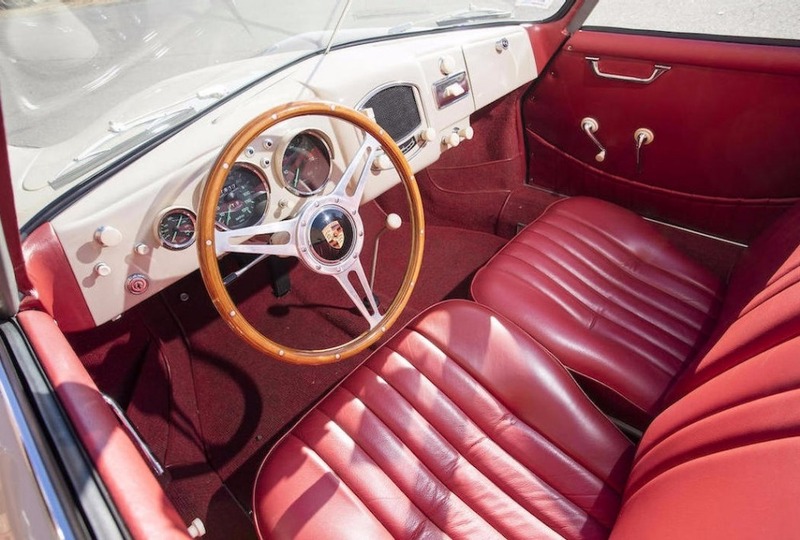 The interior is adorned in beautiful red upholstery, and is topped off with a beautiful, dash-mounted, correct radio and a wood-rimmed steering wheel. The compartments have been refurbished, and display correct satin-finish black paint and correct decals and emblems. A black cloth soft top is fitted. The Cabriolet is offered with a tool set, the Porsche-issued Certificate of Authenticity and a copy of the original build record. 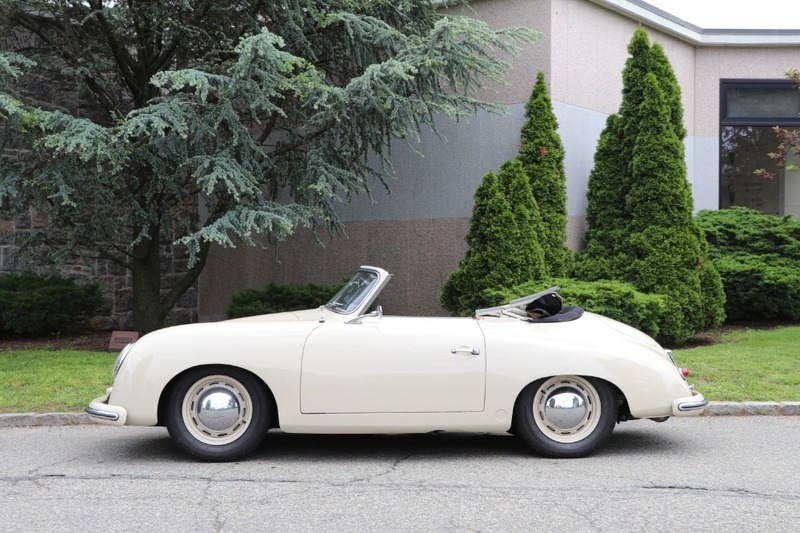 These early Pre-A Porsches are very scarce today, as few cars were ever built in the first place. They feature an incredibly clean and uncluttered design, from the low body-colored bumpers to the elegant beehive tail lights. 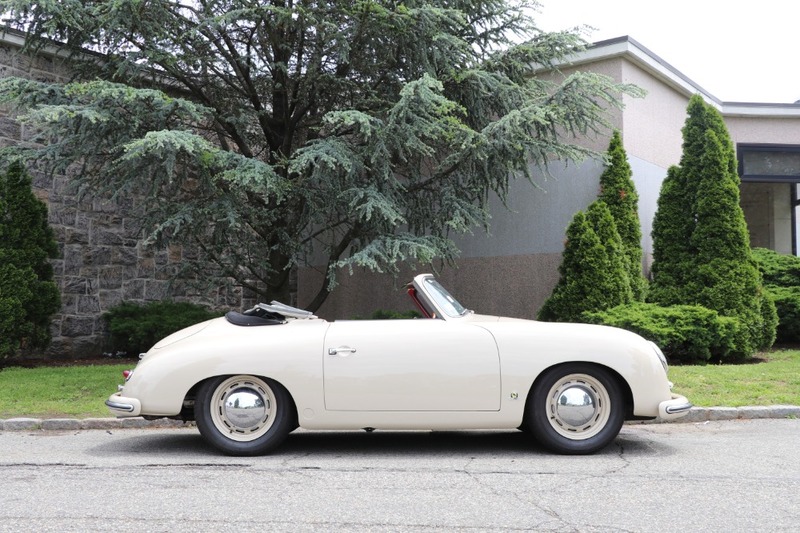 This fine example looks much like it did when it left the Porsche Works in 1953, and would be equally at home on twisty backroads or on a concours lawn.